I had a fairly good week out thrifting. I didn't attend any garage sales. I just picked up this super chippy, distressed, light green, wooden crate today for $6. 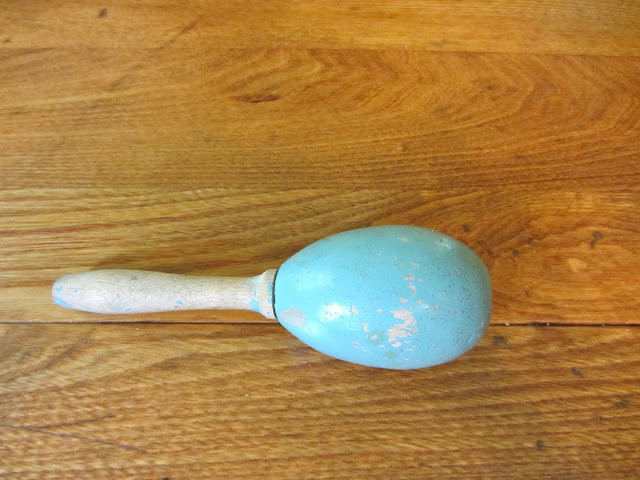 Also today, a $1 darning egg. 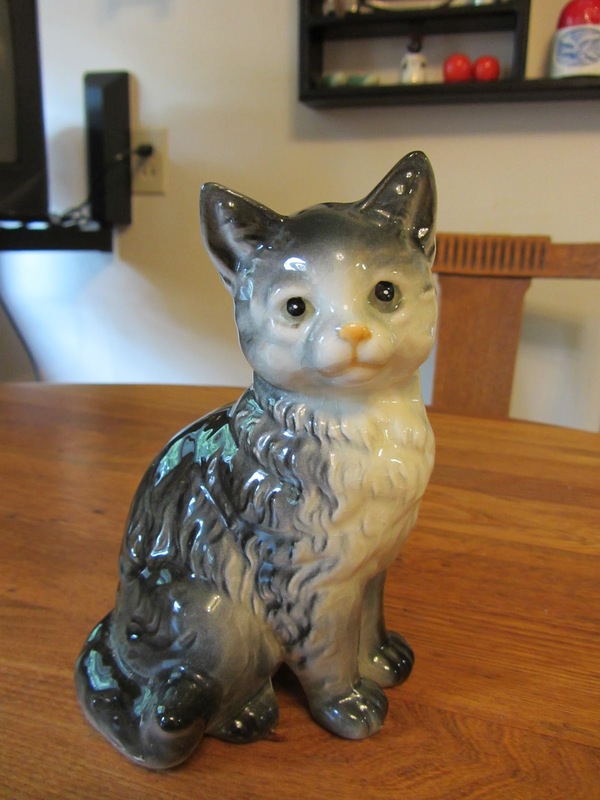 The end of last week, a great vintage, marked Japan with wreath, gray tabby figurine. 6 1/2" tall. Perfect condition. $2. 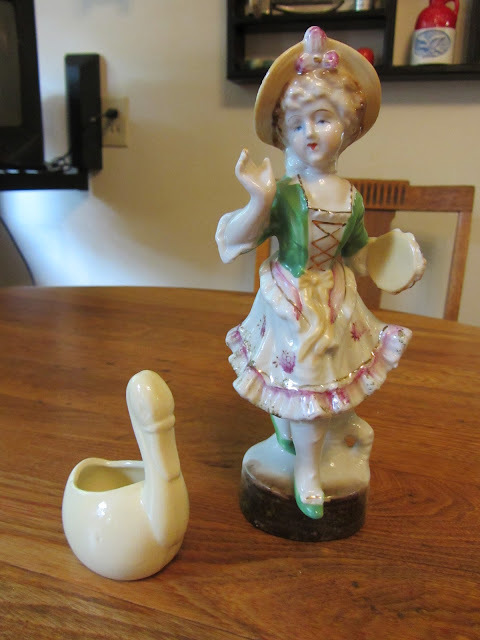 Also last week, an 8 1/4" tall tambourine lady figurine. Marked ING Copyright $3. Also a made in Japan, yellow swan planter $1? 3 1/2" tall. 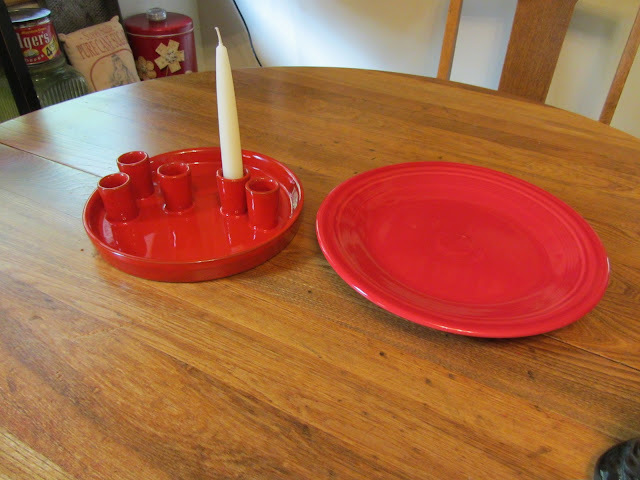 I picked up this red candle holder plate on the left for $2. I thought it was sooooo close to my Fiesta Scarlett dishes that it would work. Unmarked. Red glazed clay. All of my finds were in great condition, except for the wood box and darning egg, which had the RIGHT amount of chipping. I hope you got a chance to go thrifting this week. It's sooooo fun! Great finds, Carlene. I love the crate. The color & patina are perfect! I'm loving that wooden crate that you bought for next to nothing!!! I recently scored a similar box - but not in the fabulous blue color of yours! Great finds - hope you're not going thru garage sale withdrawal! Hi Carlene: Thank you for stopping by my blog today--I appreciate it! You did great out thrifting--I love the tabby and the green box. You found some good things and great prices. I really like the chippy box and darning egg. That crate is the perfect color and amout of chippiness. Simply love it. You could do so much with it. 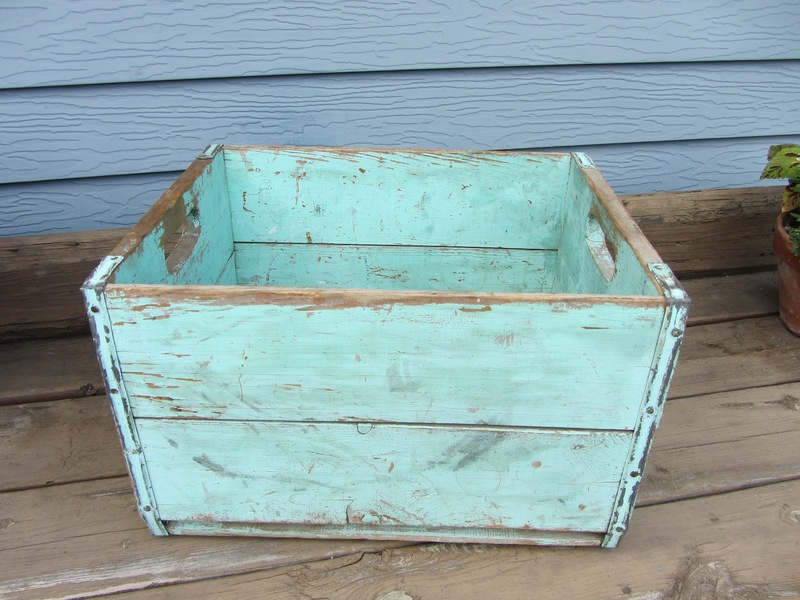 Carlene, I love your painted wooden box! What a fun color! What cute idea, Charlene! 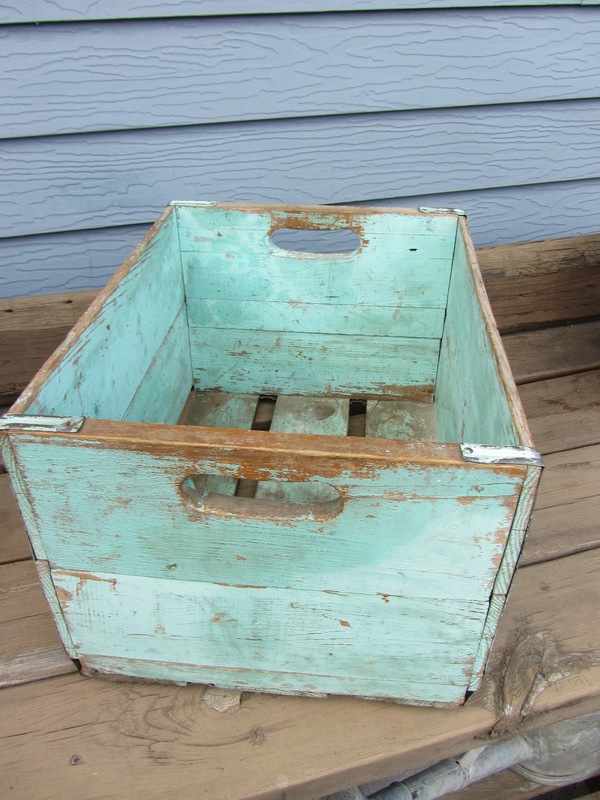 Love that wooden crate and it's color! Wonderful finds! That crate is beautiful! Thanks so much for stopping by and following...so nice to meet another Minnesota blogger! I'm a new follower, too! Love the red candle holder...very cool! The crate too...everything really. Isn't fun??? Love a good find! I am a new follower! Can't wait for all your posts! I have to say your box is something else. What a perfect color and chippiness. So much fun! So where did you get everything, at Goodwill or a flea market? Great thrifted treasures! i love the crate. It is a great color and looks perfect the way it is. Thank you for sharing at TTF this week. I hope you have a fantastic week! the candle plate is really cool. everything is in such great shape! good finds!